Now, as someone who owns a somewhat unhealthy amount of makeup and beauty products, I do find myself in situations where things get buried so deep I manage to forget I even had them. It’s not good, I know. So, every so often I make a point of having a little rummage around my room to see what hidden gems I can find and as always I end up making some beauty rediscoveries that quickly make it back into my line of sight. I suppose you could put them in the “Oh my God I can’t believe I forgot this…” category. 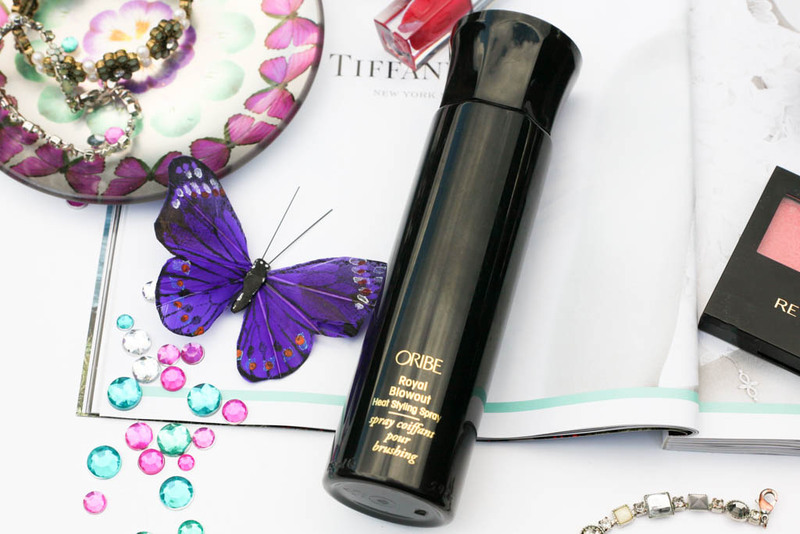 The first item that falls into this category is the Oribe Royal Blowout Spray. This is a lightweight heat styling spray designed to speed up drying time whilst nourishing and adding shine to your hair. How I forgot about this one I’m not so sure. It’s meant for the mid-lengths and ends of your hair and I love how afterwards my hair is so soft and shiny. It is a dry spray and you don’t really need to use too much as if you do it doesn’t have the same effect. 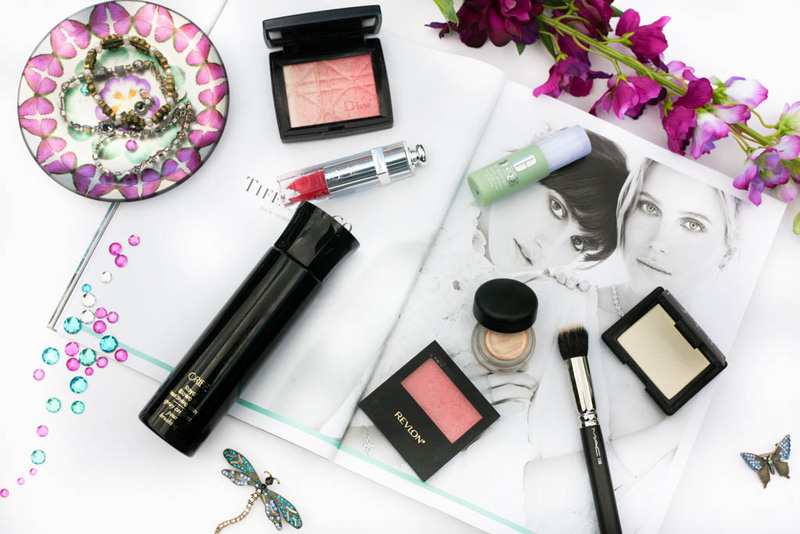 I’ve mentioned before that I love highlighter, so I was delighted when I recently rediscovered two of my old favourites – Dior Rose Diamond Skin Shimmer and Nars Albatross, both of which were seriously collecting dust. Unfortunately, this Dior one isn’t available anymore but I wish they would take out something similar again for all those who don’t own this as back in the day this collection had reached cult status. I have the Amber Diamond one too – perfection. Nars Albatross looks frosty but it has a golden shimmer running through it and as long as you apply it with a light hand it looks gorgeous. 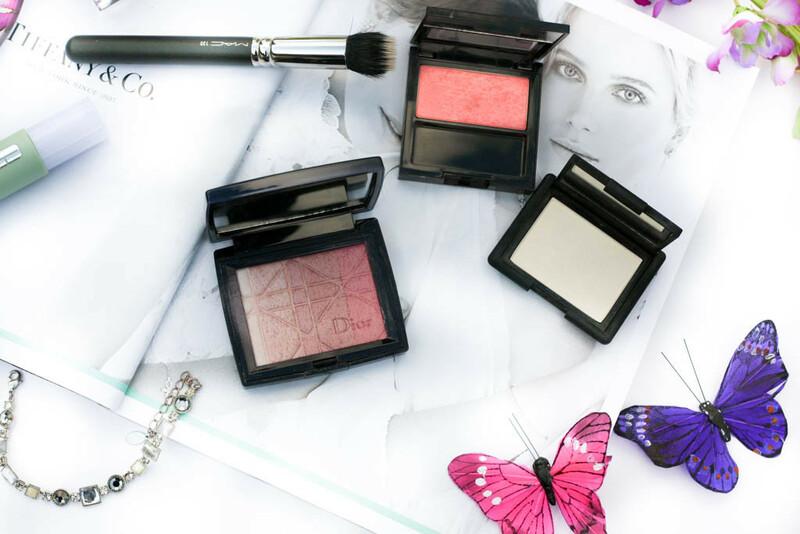 For a healthy flush, the Revlon Powder Blush in Racy Rose is ideal. It’s a lovely peachy pink and I can see myself turning to this more for Autumn / Winter. 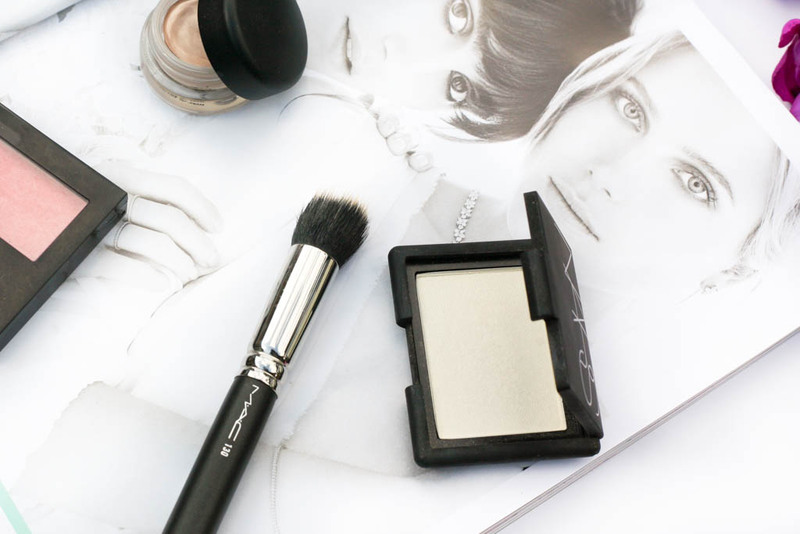 My Mac 130 Short Duo Fibre Brush is also back on rotation again and I think this nifty little brush is great for buffing in concealer and getting to those harder areas like around the nose. 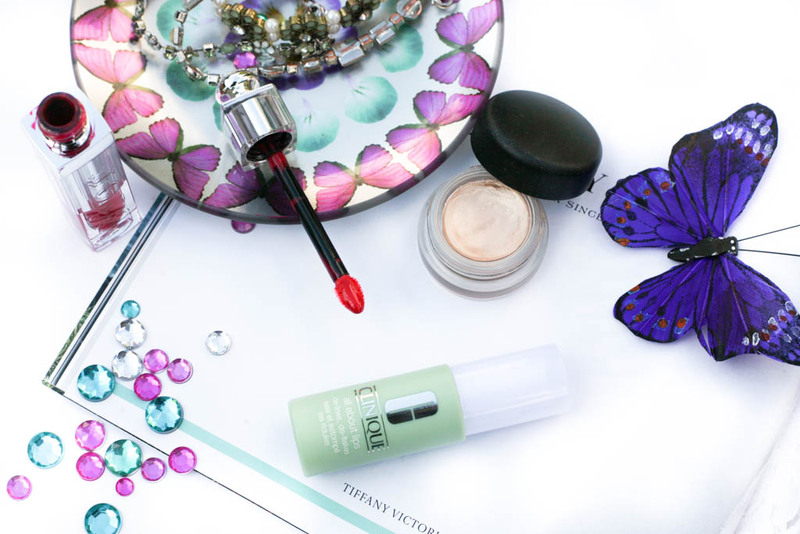 The Dior Addict Fluid Stick in 872 Mona Lisette was something I was on the fence about when I first bought this. This sits in between a lip gloss, lipstick and a lip lacquer but takes a bit of getting used to which is why I kinda put it aside. I’m now finding that the best way to work with this is to use it as a gloss on top of my lipstick and not on its own. This hot pink colour definitely adds a vibrant pop of colour to the lips and the pigmentation is pretty amazing. To make sure my lips stay in the best condition possible, especially now that Autumn has kicked in, Clinique’s All About Lips is a great conditioning treatment that de-flakes the lips as well minimise any fine lines. Lastly is Mac’s Paint Pot in Bare Study. This is a great yellow toned golden beige cream eyeshadow that works well for every day, either on its own or as a base.